It was a business event that brought me to the resort world of Sentosa. 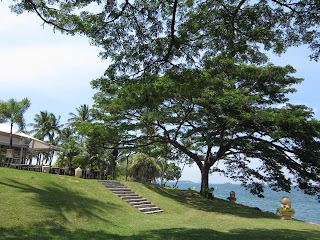 We were at the beach-side Rasa Sentosa resort run by the Shangri-la group. In the bright sunlit day, I could see the vast expanse of green-blue waters of the ocean pock-marked with ships of all shapes and sizes. Singapore's importance as a maritime trading port has been has remained unchanged since the late 13th century. You can see that most of the vessels anchored off the coast are industrial and cargo ships; I didn't spot any leisure boat or yachts like I would in such a sunny coastline in any other part of the world. There is no mistaking that Singapore is business first! 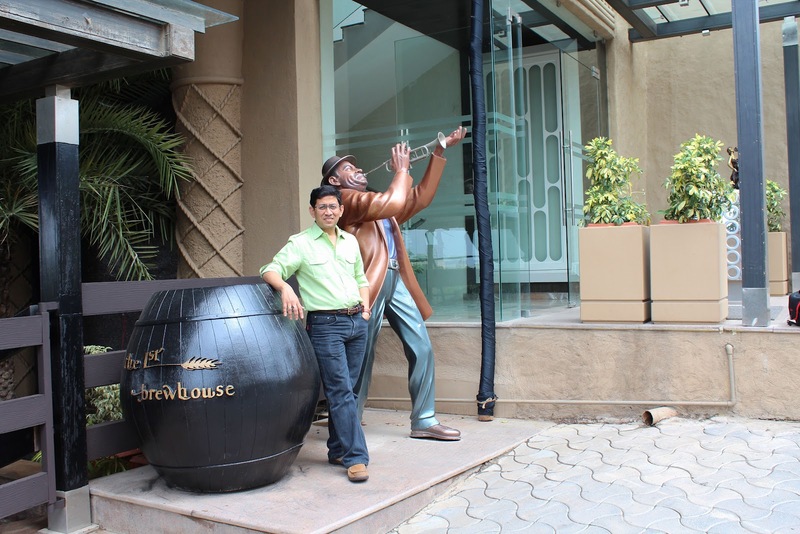 Keeping up with all the new eateries mushrooming in Pune is turning out to be quite a feat. However, with a never-say-die attitude, I solider on! :) Last weekend, we decided to drive to the other end of town and visit The Corinthians for a taste of what their website promised was a Greek restaurant. Then we tried some quick bites at Malaka Street. Finally, a visit to Oye Pape and a cappuccino at Dario’s - all at the new Amanora Town Center. I had heard so much about the excellent Konkan Cafe from fellow foodies but never found the time for a meal here. 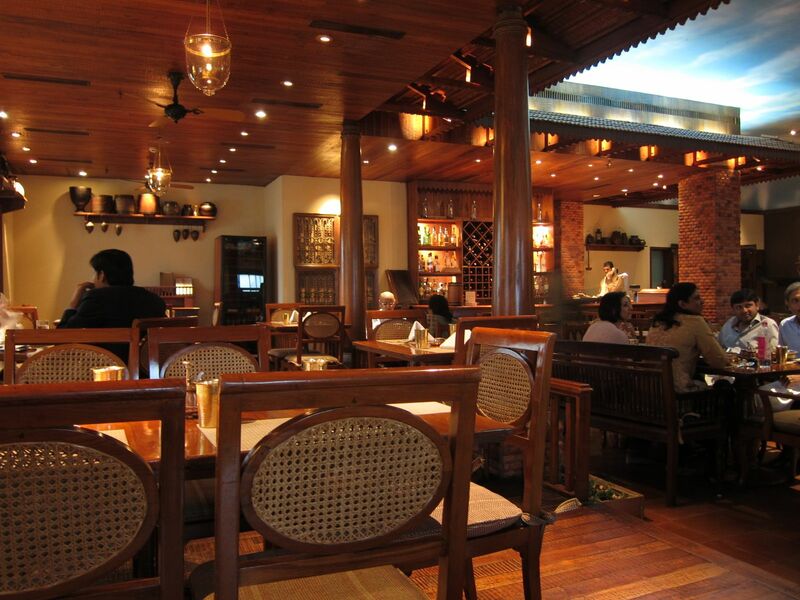 This restaurant is the creation of one of India’s best known chefs, Ananda Soloman, and serves the food of India’s Konkan coast that covers the coastal regions of Goa, Maharashtra, Karnataka and the northern parts of Kerala. Located at the southern tip of Bombay’s Cuffe Parade, Konkan Cafe has built up a legion of fans who swear by its food. I returned to two of my favorites restaurants at the ITC Royal Gardenia in Bangalore. 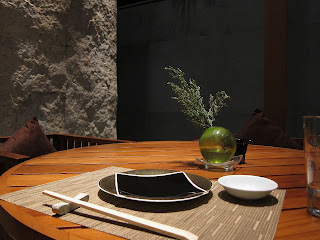 I had last visited Edo when it had just opened about two years back. I could see that people here are slowing beginning to develop a taste for good Japanese food beyond sushi. As for my other favorite, Kababs & Kurries, they continue to be very popular during lunch and dinner hours, and for good reason.